[8 mins.] 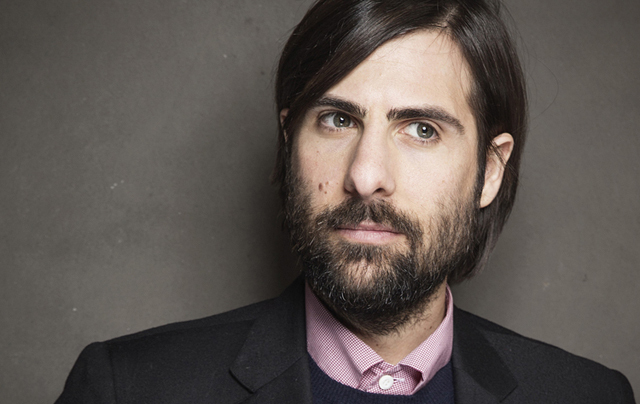 Actor Jason Schwartzman ("Rushmore", "The Darjeeling Limited") is the first guest. Jason is appearing in 2 brand new indie films, the first is "The Overnight" which opens theatrically on June 19th, is directed by Patrick Brice and being distributed by The Orchard. The comedy centers on new L.A. parents Alex (Adam Scott) and Emily (Taylor Schilling) who are on the hunt for new friends after relocating from Seattle with their son. The 2nd movie is Bob Byington's "7 Chinese Brothers" which had its premiere at SxSW this Spring, recently enjoyed a screening at Rooftop Films (where this interviewed took place), where Schwartzman plays Larry, an inebriated sad sack who rides a tide of booze onto the shores of an undiscriminating Quick-Lube. The film also stars former Filmwax Radio guests Alex Karpovsky and Olympia Dukakis. [41 mins. 40 secs.] Up next for his 3rd visit to the podcast, filmmaker Nathan Silver ("Exit Elena", "Soft in the Head") whose new film "Uncertain Terms" recently had its theatrical. Additionally, his latest film "Stinking Heaven" will have its New York premiere at BAMcinemaFest on June 18th. Both films concern group dynamics and sport ensemble casts. Uncertain Terms takes place at a home for young unwed pregnant women while Stinking Heaven involves a home for recovering alcoholics and drug addicts. This episode is sponsored by Hell's Half Mile Film & Music Festival, an outstanding celebration of indie music and film which is located in Bay City, Michigan, and which will celebrate its 10th anniversary at this year's festival, September 24th — 27th.